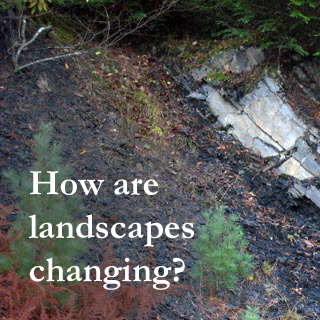 Pennsylvania’s landscapes have developed over time in response to numerous natural and human factors. Natural factors affecting forests include weather-related events, insect defoliations, wildlife, and topography position or soil type. Humans have been important too in changing landscapes, beginning with Native Americans and their management of open space, forest clearing during European settlement, atmospheric pollution and its accompanying soil acidification, and urban development. Together, many of these factors have led to varying degrees of forest fragmentation over time, which presents challenges for land use managers and species living on these landscapes. Recent drilling in the Marcellus shale formation has resulted in rapid natural gas development across many land uses (forest, agriculture, etc.) in Pennsylvania. 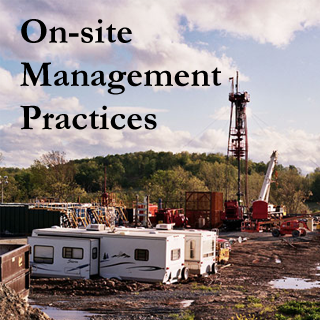 The Pennsylvania Department of Environmental Protection (DEP) estimates that more than 325,000 oil and gas wells have been drilled in Pennsylvania since 1859. 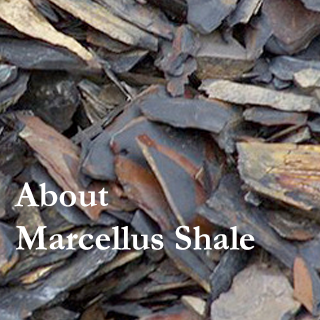 As of June 3, 2011, 2,931Marcellus wells had been drilled. Although shallow gas wells still far outnumber Marcellus wells in Pennsylvania, the spatial footprint of a Marcellus well pad is typically greater, with the pad being 3–5 acres and potentially much larger (~30 acres) with disturbance other than the pad included. Shallow-well clearings are frequently 2.5 acres or less, although associated infrastructure (road building, mainly) may increase the disturbance footprint ( to ~3.7 acres). Marcellus shale infrastructure disturbance, supporting drilling beyond just the pad’s footprint (e.g., roads, gathering lines, staging), could result in a larger total disturbance. 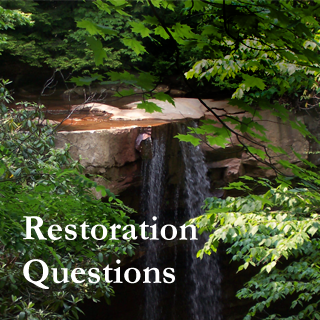 Our goal with this website is to provide the best information and guidance available to help lessen disturbance and mitigate the effects of Marcellus shale development on the ecosystems of Pennsylvania. The links at left provide information on landscape change, methods to monitor landscape change, and planning and rehabilitation practices for before, during, and following infrastructure development. Adams, M. B., Edwards, P. J. Ford, M. W., Johnson, J. B., Schuler, T. M., Thomas-Van Gundy, M., and F. Wood. 2011. Effects of development of a natural gas well and associated pipeline on the natural and scientific resources of the Fernow Experimental Forest. Gen. Tech. Rep. NRS-76. Newtown Square, PA: U.S. Department of Agriculture, Forest Service, Northern Research Station. 24 pp. <www.nrs.fs.fed.us/pubs/37268>. Johnson, N. 2010. Pennsylvania energy impacts assessment. The Nature Conservancy. <www.nature.org/media/pa/tnc_energy_analysis.pdf>. USDA-Allegheny National Forest. 2007. Allegheny National Forest Plan Appendix F, Oil, Gas, and Mineral Development on the Allegheny National Forest. p. 5. <www.fs.usda.gov/Internet/FSE_DOCUMENTS/stelprdb5062984.pdf>.